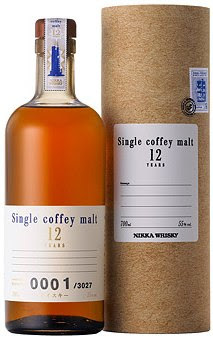 Nikka will release a new single coffey malt on November 22. It is the product of a Coffey still at Nikka's Nishinomiya distillery. Coffey stills are usually associated with making grain whisky but I don`t think Nikka are totally new to Coffey malt experiments. I seem to remember being offered something along these lines at the Nikka Blenders Bar. Anyway, there will be 3,027 bottles: 2,031 for the Japanese domestic market and 996 for the European export market, where it will be distributed by Nikka's European representatives La Maison du Whisky (see this post for more information on that relationship). I suppose this shows us how significant the export market is becoming for these specialist Japanese malts. Here is Nikka's pretty slick promotional web page for the single coffey malt. Price: 8,400 yen for a 700ml bottle in Japan. The European price is 109 Euros (£75/$150/18,000 yen). I was under the impression that this "Coffey Malt" was from Miyagikyo (and the same goes for the 1992 single cask Coffey Grain). In fact, both are listed as made at the Miyagikyo distillery in your good pal Ulf Buxrud's book "Japanese Whisky". I think Ulf is mistaken on this. The Coffey stills moved from Nishinomiya to Miyagikyou in 1998/9, which means both this one and the 1992 were distilled in Nishinomiya. I checked this once with Kazuya Hirano at the Blenders Bar and he confirmed the 1999 switch over date and its relevance to these Coffey whiskies. I can understand the mistake though because all Nikka's whisky Coffey stills are now at Miyagikyou, so new releases might start coming from Miyagikyou soon. Thanks a lot for all those details (unfortunately, no, I can't read Japanese)... but... wow ! All these years I thought I was drinking Miyagikyo ! How could Ulf be mistaken like that ? As I understand it, his tastings were done directly at the distillery, so clearly the guys at Miyagikyo presented the Coffey Grain as theirs... or Ulf was just too drunk to understand them, who knows...? Now, Nikka is really to blame for all these mistakes : Their labels are just too damn confusing. On single cask malt whiskies from Yoichi & Miyagikyo, you can find the name of the distillery, in tiny letters, hiding on the far side of the label, but there is no distillery information for their grain whiskies, so no wonder we're lost. One last thing : Most Miyagikyo single cask malt whiskies from the 80's share a very distinctive spicy and sweet taste, and I always thought that even if the stills were different, and even if it was grain instead of malt, some of the coffey grain bottles were kind of from the same batch. Like two distant cousins from the same family. I'm not referring to the 1992 and 1995 Coffey Grain which I really don't like, but the much better and richer 1991 16 Yo bottling (cask 102034) shares some similarities with the 1989 single cask IMO (n°105419), even though this last one is a malt whisky. So all this, with the fact that those Coffey stills are indeed located at Miyagikyo now, led me to the logical conclusion that Coffey Grain & Coffey Malt whiskies were unquestionably Miyagikyo productions...! Yes, although they are quite straight up in their press releases in Japanese, Nikka do not clearly label these as Nishinomiya distilled and this misleads people. This is, of course, totally understandable from their point of view: why would they want to start banging on about a defunct operation when they are trying to raise the profile of their active Coffey operation at Miyagikyou? But it is easy to misunderstand. I have just posted a little bit more info on Nishinomiya and a pic I took on a visit a few months ago. Well I've certainly learned something today, thanks. Your new article is enlightning indeed. And yes, the lack of information from Nikka is understandable from this point of view. Still, the fact that you get to taste these grain whiskies when visiting the Miyagikyo distillery is more than a lack of information : It's deliberatly misleading. Ps : Your link to this thread in your article doesn't work. Miyagikyou is a correct transcription of the long o at the end of the name in Japanese. When writing the name in the hiragana syllabary, you put the character for "u" after the "kyo". Other ways of correctly writing it in romaji would be "Miyagikyō" or "Miyagikyoh", depending on the system you are using. Nikka don`t bother with all of this, as you say, and just write it "Miyagikyo" and if I was starting this site again I would follow that usage. 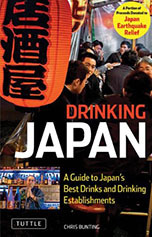 I started out writing Miyagikyou because of my attempts to learn Japanese and now feel I must stick with it or spend a couple of days digging out all my references to the distillery on this site and changing them. However, I am not fully consistent on this: for instance, when I am writing about "Shōchū" on this site I just write "shochu" because I can't be bothered with the hassle of properly writing it with accents (and the u method would take it too far away from common English usage), but on my shochu sidesite I believe I have to get it right and so write it "shōchū". The puzzles of writing about another culture! PS. I would not blame Nikka too harshly. I think their view is that these are their Coffey stills and so they give the tastings for them next to their current location at Miyagikyou. They never deliberatively mislead people and in fact have explicitly stated the origin in their press releases. 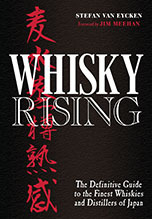 The vast majority of consumers would not give two figs about what we are talking about and a marketing strategy that ignored that fact and went on about an old distillery long closed would just make it harder for most consumers to understand Nikka and get to grips with the really important thing, which is the whisky. For those of us who do want to know these details (most of whom are going to be Japanese single malt fans), their press releases have explicitly stated that it comes from Nishinomiya. It is only really the fact that those press releases are not available in English/other foreign languages (as far as I know; they may be) that has led to this confusion. And we are a tiny tiny part of their market. Because of my interest for these grain "experiments" as I call them (because at this level, let's face it, that's what the Coffey Grain & Coffey Malt are), I invested in other Miyagikyo whiskies and was each time disappointed. Now in the long run, I'm glad I know other Miyagikyo bottles. As a Japanese whisky fan, I would have tried them anyway sooner or later, but as a European customer, I still feel misled. You're right, most people don't care about all that. I even met some whisky fans who didn't even know what Yoichi and Miyagikyo are, and thought that Nikka is a distillery, and yet that never prevented them to enjoy what's in their glass. But I want to know what distillery the whisky I'm drinking is from, no matter if it's still in activity or not. When the information is simply not available (which is sometimes the case with some small Scottish independant bottlings), I can live with it. But when I'm misled and told that a particular whisky is from a distillery when in fact it's from another, that just doesn't rock my boat at all. Nikka may have been straight about it in some one shot Japanese press release, but when even The Whisky Exchange gives wrong information about the bottles they sell, it just shows that Nikka hasn't been straight enough, at least in my book. I understand your point of view too.